The New York Philharmonic, from Bernstein to Maazel continues the story of America's oldest orchestra as told in Howard Shanet's Philharmonic: A History of New York's Orchestra. That volume ended with the 1970-71 season, just before the arrival of Pierre Boulez as music director. Obviously, much has happened since. This book begins, however, with a retrospective account of the controversial last years of the tenure of Dimitri Mitropoulos and the ascendancy of Leonard Bernstein to the music directorship. Having been a Philharmonic assistant conductor during Bernstein's tenure, and an inveterate Philharmonic watcher ever since, the author brings some personal insights to the story as well as moments of humor. A sub-theme of the book concerns the way the Philharmonic and its music directors have been treated by the New York press, the Times in particular. Howard Taubman's attacks on Mitropoulos, Harold Schonberg's on Bernstein, and Donal Henahan's on Zubin Mehta are all covered here, as are the writings of various critics on those and other conductors, and on the orchestra itself. The New York Philharmonic is the only orchestra ever to undertake a foreign tour solely on the initiative of its musicians, without benefit or support from management. How this came about is chronicled, as are the opening of Lincoln Center, the Parks Concerts, Promenades, Prospective Encounters, Rug Concerts, tours, and, of course, the subscription seasons. 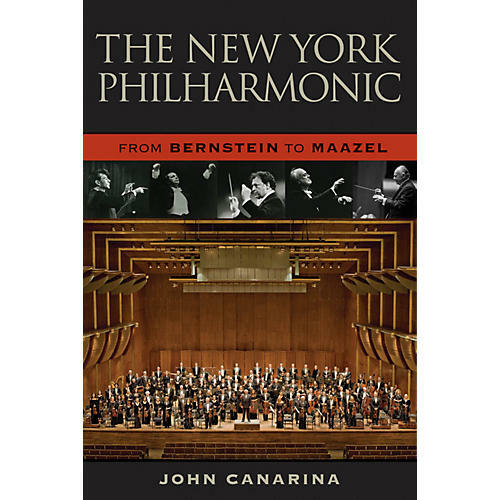 John Canarina shows how the New York Philharmonic weathered extraordinary ups and downs during this period, while remaining a vital component of New York's cultural life.